Even though it doesn’t appear to be a big deal, a dripping faucet isn’t something you should ignore. Not only can the sound drive you nuts, but it can also cost you a lot of money over the long run. Unfortunately, if you want to accurately diagnose the problem you’ll have to take apart the faucet. While this can be a pain, as you check on each of these things you’ll get a better idea of what’s going on. This all depends on the problem itself, as well as the extent. 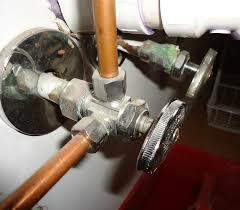 For example, you can replace a corroded valve seat with a new one and enjoy a drip-free faucet once again. However, if more than one issue is causing your faucet to drip, you may be better off replacing it altogether. 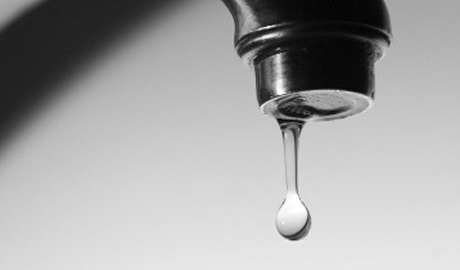 If you need any help diagnosing your dripping faucet, don’t hesitate to contact us. We can visit your home, inspect your faucet, and help you decide what to do next. As summer comes to an end, it won’t be long before cold weather moves into the area. And as winter arrives, it’s important to ensure that your home is protected. This means many things, such as protecting your pipes from freezing. Freezing pipes are a big deal for many reasons, including the fact that this can stop you from getting the water you need. Furthermore, depending on the severity and location, it’s possible that a frozen pipe could burst, thus leaving you with a major problem. By taking these simple steps this winter, you should be able to prevent your pipes from freezing. Subsequently, you won’t have to deal with the aftermath, such as a leak that’s caused substantial damage. If you have any questions or concerns about your home’s plumbing system heading into winter, don’t hesitate to contact us. 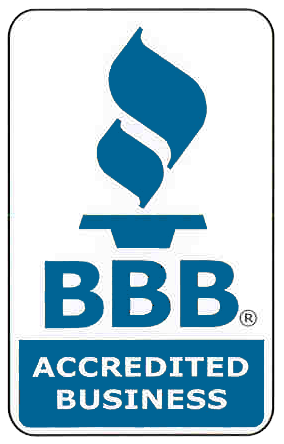 We’re happy to visit your home, provide guidance, and help you avoid trouble in the months to come. What’s Causing Low Water Pressure in Your Home? At some point, often when you least expect it, you may come to realize that the water pressure in your home has fallen off. While low water pressure may not sound like a big deal, it could be the sign of a major problem. Debris and mineral accumulation. As debris and minerals buildup in your pipes, it’s only natural for water pressure to decrease. The best thing you can do about this is examine a section of pipe to get a better idea of if this is the problem. Plumbing leak. 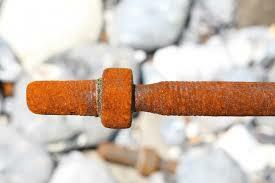 You never want to find that a pipe is leaking, but this is one of the most common causes of low water pressure. Maybe the leak is visible, or maybe it’s hiding behind the wall. Either way, if you suspect a leak you need to address the concern as soon as possible. Malfunction in the water supply. There are times when low water pressure has nothing to do with an issue in your home, and everything to do with a malfunction in your area’s water supply. Before you assume something is wrong at your home, contact your water company to see if there is an issue in the area. There are many things that can cause low water pressure in your home. If you need help diagnosing and solving this problem, contact us as soon as possible. 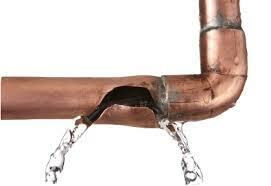 Regardless of where it’s located, a leaking pipe is a hassle you never want to deal with. Fortunately, if the pipe is in plain view, such as under a sink, it’s easy to access. This makes the repair process much easier. If you run the water for several minutes and no leaks are present, you’re back in business. At that point, you can begin the process of repairing the wall. This includes patching the drywall and painting the wall, all with the idea of making it as good as new. It’s extremely frustrating to learn that you have a leaking pipe inside a wall, but this problem can be repaired with the right approach. Since you may not have the knowledge, experience or tools necessary to complete the job, don’t hesitate to contact us. We’re more than happy to diagnose the problem, provide a timely repair, and help you put this issue in the past once and for all. 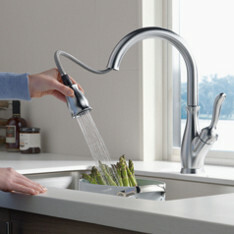 There are many simple ways to update the appearance of your kitchen, with the addition of a new faucet among the best. Since there are thousands of faucets to choose from, you must keep an open mind to ensure yourself of making the perfect choice. What type of look are you going for? While some people choose a standard bronze or nickel finish, others gravitate towards something more unique, such as a black or white kitchen faucet. Kitchen faucets vary in size, from small to large and everything in between. The best thing you can do is measure the faucet you have now, as to get a better idea of what’s best this time around. If you’re not changing your countertop as well, you need to choose a faucet that fits your current setup. The last thing you want to do is make a purchase, just to find that it doesn’t fit. While there may be other things to consider when comparing and choosing your next kitchen faucet, these details are among the most important. When you focus on these things, it won’t be long before you’re making a choice and upgrading the appearance of your kitchen! A garbage disposal is a luxury that you may not think about often. Instead, you flip the switch when you need it and are happy that it provides the level of service you require. However, there’s something you should remember: a garbage disposal will not last forever. Frequent clogging. There will be times when your garbage disposal clogs, but this shouldn’t happen time after time. If it does, you may need to swap out your old unit for one that is more powerful and/or efficient. You’re always using the reset button. Again, this may be necessary here and there, but you shouldn’t have to rest your garbage disposal every time you use it. A leak that just won’t stop. You can try to fix a leak associated with your garbage disposal, but if it won’t go away it may be time for a new unit. An odor that lingers. There is nothing worse than an odor that lingers, even after you give your garbage disposal a thorough cleaning. If this is too much for you to live with, swap out your old garbage disposal for a new one. You’re replacing your dishwasher or sink. If you’re doing either of these things, it’s a great time to also buy a new garbage disposal (unless it’s already new). 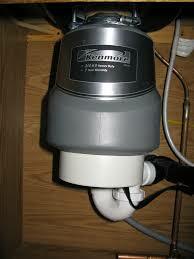 If you come to find that you require a new garbage disposal, you don’t have to tackle the job on your own. Instead, contact us for all the help you need. With hot summer days (and nights) in full swing, there’s a good chance some of your home’s cold water pipes are sweating like crazy. This doesn’t mean there is anything wrong with your pipes, but you may want to put an end to this before the condensation causes you any trouble. Purchase foam pipe insulation from a local hardware store or online. The kind with the peel and stick seam will make life much easier on you during installation. Purchase a roll of peel and stick seam sealer so you can wrap the joints, making the insulation as tight as possible. Cut the insulation the appropriate length and wrap it around any pipes that are giving you trouble. In addition to the actual supplies, the only two things you’ll need is a tape measure and utility knife. Once you insulate the pipes, you’ll soon come to find that this is no longer a problem. Instead, your pipes will be as dry as a bone! If you can’t tell the difference between a sweating pipe and a leaking pipe, don’t hesitate to contact us. You don’t want to assume that insulation will do the trick, just to find that you have a leak that can result in extensive damage if left untouched.